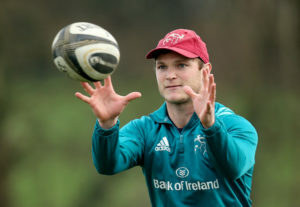 Tyler Bleyendaal is capable of breaking into Joe Schmidt's Irish squad ahead of the Rugby World Cup in Japan, according to Alan Quinlan. 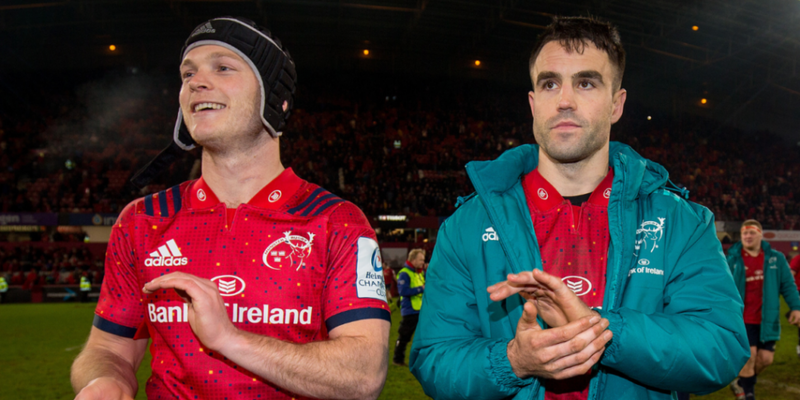 Assessing Ireland's options at out-half, Quinlan considers the Munster man to be of a similar quality to those vying for a third spot behind Johnny Sexton and Joey Carbery. "Tyler Bleyendaal has the ability," Quinlan stated on Friday's OTB AM. "Potentially, he could be [our third-best out-half], there's no doubt about that." Born in New Zealand, the 28-year-old arrived at Munster in 2015. Captaining an U-20 All-Blacks team to World Cup success in 2010, Bleyendaal has since become eligible for Irish selection. In Leinster's Ross Byrne and Connacht's Jack Carty, Bleyendaal has obvious competition for a peripheral role in Schmidt's plans. "Jack Carty and Ross Byrne have been superb and they've excelled and improved a lot," Quinlan admitted, "but is Tyler Bleyendaal capable of being in the mix and going past the two of them? Of course he is, he's a very talented player." "I think two years ago he had a really, really consistent season. "It probably ended in a bit of disappointment in that Saracens game in the Aviva where they lost the semi-final [of the Champions Cup], but throughout that year he was superb. "He's really, really good tactically, his ability to attack the gain line and bring players either side of him into the game was second to none." Struggling with injuries across the intervening period, Quinlan now believes Tyler Bleyendaal has the capabilities to overtake Byrne and Carty in the pecking order.